I’ve remembered them ever since. Could anything be more rewarding, than knowing you’re playing a small part in making people’s dreams come true? And let’s be honest. Little kids aren’t day dreaming of one day owning a freakin’ Triumph, they want a Harley. So there I was, at motorcycle shows in Alberta, Ontario, and Quebec, helping people soak in the brand, and selling them on the dream. 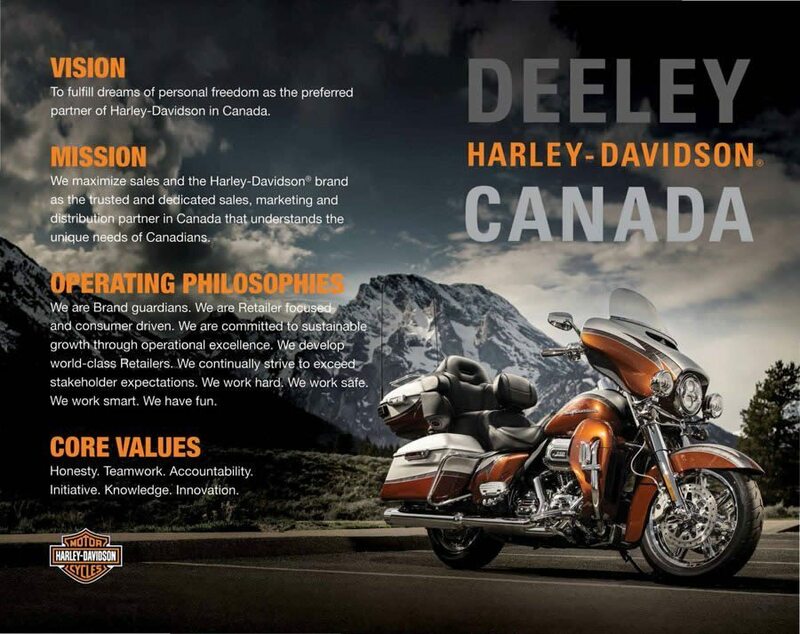 It’s been over two years since I worked for Harley-Davidson Canada. For a while I wasn’t getting a chance to play a part in making people’s dreams come true. 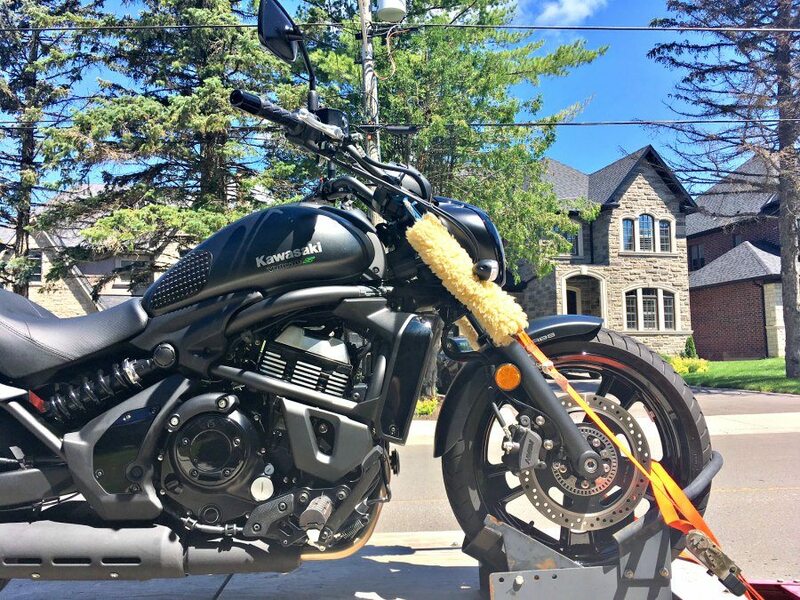 Then one night, heavy on efficiency and low on creativity, I started a company called Motorcycle Towing Toronto. 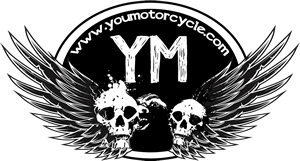 Ever since then, I’ve been able to help the community save a good chunk of change versus they were used to paying for motorcycle towing, and in many cases, I got to help a lot of first time riders bring their new babies home. Once again, I was playing my part in helping others to fulfill dreams of personal freedom. And it feels great each and every time. Scene: Hot parking lot, an eight month pregnant woman fans herself after waiting for CAA for over 7 hours for a tow truck that would never come. Finally, she gives up on them and calls Motorcycle Towing Toronto instead. Suzan hired me for a clandestine task. This is the story of a woman who wanted to make her husband’s dreams come true. She was going to become a mother, and she wanted to give her husband the extra push he needed to become a motorcyclist. At a time when many men and women get out of motorcycle riding, Suzan wanted her husband to go in the opposite direction. We would have to tow the bike twice, to two different hiding spots, so her husband wouldn’t see it before his birthday. It was going to be a complete surprise gift to him, and he had no idea what was coming! “Who are you sneaking around with?” he once asked her. Suzan knew that her husband had a dream of riding. She knew it would just take a little push to help him make his dream come true. She didn’t wait to be asked for her help. Instead, she proactively made it happen. She wasn’t afraid to call on others to help her help him. Her brother selected a motorcycle that would both be good for a new rider and fit her husband’s style. Her brother’s friend kept it hidden in Hiding Spot 1, while another relative would receive it in Hiding Spot 2 on the day of the party. As for me, I was the driver behind the secret mission. 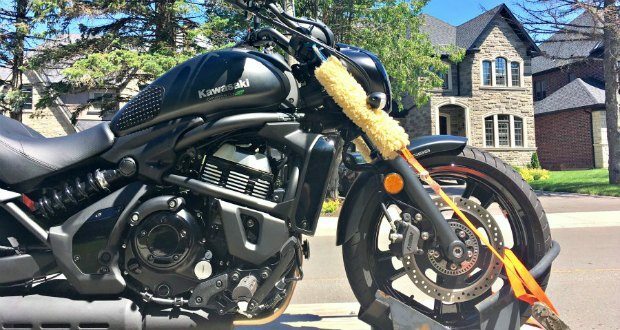 Last week, I finally delivered that Kawasaki Vulcan S to her final destination, a few hours before the surprise party. It was home on a beautiful street, befitting a beautiful family. What I love best about this story is that Suzan didn’t do this because her husband asked her to. He never said, “I’d love it if I came home to a motorcycle.” He didn’t have to. She bought him a motorcycle of her own initiative. She concluded that since he had helped make her dreams of motherhood come true, she should help make his dreams of riding come true as well. They say true love is selfless. I believe that. Congratulations to the new motorcyclist and happy birthday! Best wishes for the new additions (bike and child) to your family, Suzan. Way to go beyond expectations to make your husband’s dream come true! Thank you for letting me play a small part in fulfilling a dream of personal freedom. What a great story to be a part of. Hopefully young men, and young women, can read this, and learn a thing or two about how to treat one another. 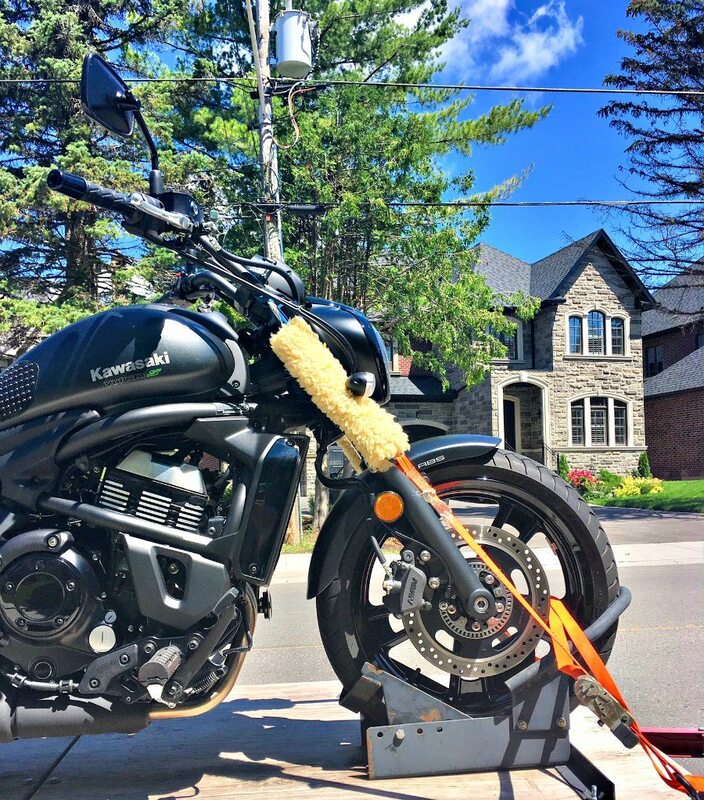 If you need your motorcycle towed in the Greater Toronto Area, or beyond, please check out my other site, MotorcycleTowing.ca.